With its mid-life facelift, the Maruti Baleno is going to come with a generous feature upgrade across its variant line-up. We are all well aware of the fact that Maruti Suzuki is soon going to introduce a mid-life update for the Baleno premium hatchback in India. Speculations suggest that we can expect the updated iteration of this vehicle to launch in India as soon as the end of January this year, right after the debut of the 2019 Maruti WagonR. Since this update is going to be a mid-cycle refresh, the car will retain the majority of the current iterations credentials. 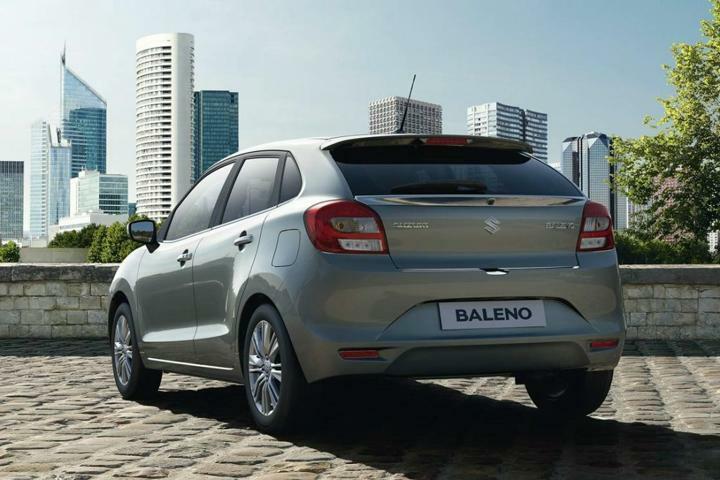 However, the automaker has made sure that with this update, the Baleno does get a breath of fresh air. For starters, the Baleno facelift is going to come with a slightly altered from bumper design along with a redesigned front grille. The side profile will remain the same as before, but the top-spec variant is going to come with new machine-cut alloy wheels. In addition to this, right from the base variant onwards, on is going to get ORVM mounted turn indicators. In sync with the front bumper, the rear bumper is also going to feature some alterations. The current-spec Maruti Baleno comes with HID projector headlamps only in the top-spec Alpha variant. However, with the update, this hatchback is going to come with LED projector units that too from Delta variant onwards. That said, the UV-cut glass, which was earlier available on the two top-spec trims i.e. the Zeta and Alpha, will not feature only on the later. Similarly, the leather -wrapped steering wheel will also become exclusive to just the Alpha trim level. The Maruti Baleno currently offers dual airbags, ABS with EBD along with ISOFIX child seat mounts as standard fitment. With this mid-life update, the standard safety equipment list will also include rear-parking sensors as well as high-speed warning system. Also Read: Maruti Suzuki to launch four new small cars in India soon! On the inside, the Maruti Baleno facelift’s top-spec variant is going to come with a new version of Maruti’s Smartplay infotainment system. In addition to this, the vents for the air-conditioning will get new silver highlights. Lower trims levels are now going to come with a new 2-din sound system that offers touch-sensitive controls, similar to what we saw on the 2018 Ertiga. Apart from these changes, the rest of the specifications will remain the same as before. It will continue to offer the same engine options for both the petrol as well as the diesel derivatives. However, at a later stage, Maruti Suzuki will introduce, as an optional extra, its all new 1.5-litre diesel engine in this hatchback’s portfolio. This engine, in its BS_VI guise is eventually going to replace the ageing 1.3-litre from the entire fleet of Maruti Suzuki.